When you were looking at buying a home, you probably spent a lot of time finding out about it and its condition; after all, that’s why you hired a home inspector. You want to know when the roof was put on, how old the furnace is, if the electricity is up to date. And we’re sure you didn’t buy until you knew exactly what type of sewer pipes came with the house. We’re joking about that last bit, of course. There’s a good chance that you had (and still have) no idea what kind of material your lateral pipe is made from. It’s an important pipe that takes away all that stuff you have no use for and never want to see again and send it to the public sewer, and yet it’s largely ignored. Here are Garvin’s it can be very important for us to know what type of pipes we’re dealing with so that we can use the right tools and not damage your sewer system. 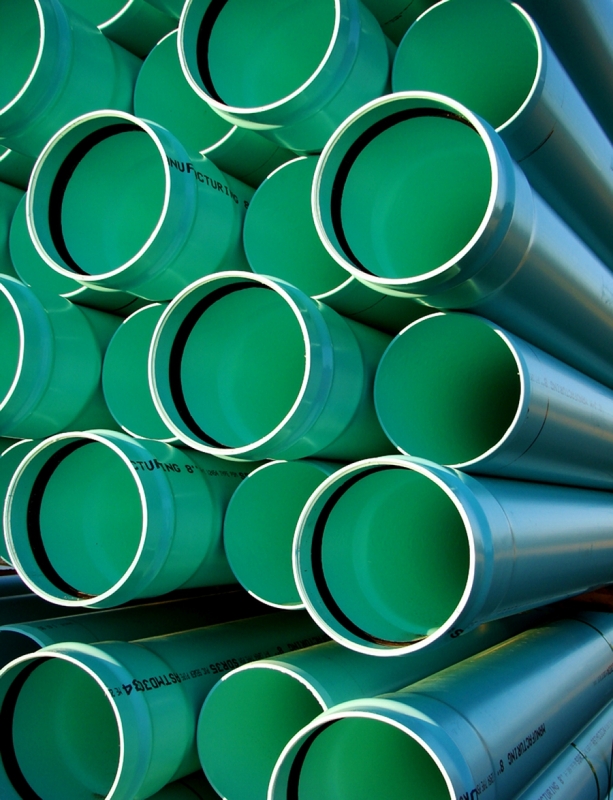 Here’s a quick rundown on the types of pipe that have been used over the decades. Clay Pipe: Denver was founded in 1858, before Colorado was even a state and certainly predating modern plumbing. There aren’t many houses left from that era, but there are some houses that are still around from the era of the clay pipe, from around the 1900’s until the 1920’s. While clay might sound like a silly thing to use, it was baked and became very hard. Unfortunately, the water running inside of it and the groundwater hitting it from the outside caused it to disintegrate over the decades. Loose fittings also made it easy for tree roots to get inside. Concrete Pipe: Concrete has an amazing history, but we don’t have the time to go into it here. Concrete was heavily used by the ancient Romans, but then the formula went all but unused for 1500 years. Today it’s the most used man-made material, and it makes sense that concrete would be used as sewer pipes. Unfortunately, like clay it also disintegrates over time and can be scraped away by sewage and rooter service. Concrete was mostly used from the 1920’s through the 1950’s. Orangeburg Pipe: Here’s one that we probably won’t run into, because it didn’t last very long (literally). Though it was low cost and easy to cut, Orangeburg pipe, made from wood pulp and tar, tended to give out within 20-30 years. It’s pretty much all been replaced since it was installed during the 1950’s. Transite: Here’s an interesting one that can still be found underground in some places: transite pipe. You’ve heard of reinforced concrete, where iron bars are used to make the concrete stronger. What if you could add a much smaller material to concrete so that it touched even more of it, giving it a higher tensile strength. Great idea, right? Now imagine that the added material is asbestos. Oops! Cast Iron Pipe: You can probably guess where this is going. Iron was better at adapting to shifting earth than concrete or clay pipe, but all that wasn’t going to save it from rust. Why use it in the first place? Cast iron is a cheap and can be easily poured into molds. PVC And ABS Pipe: It’s good for most things to be biodegradable: paper cups, plastic utensils made from corn, that pizza box. 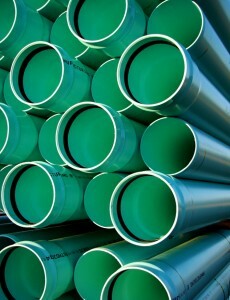 But there are some things that you want to last right-next-to-forever, and PVC sewer pipes is one of them! Most laterals made since the 1970’s have been made from PVC or ABS pipe. It gives a little, holding up to sinking ground, and stands up to waste and chemicals. It can also hold its own against tree roots creeping in, plus it’s slick enough to allow waste to slide through better than many previous types of pipe. What type of pipe do you have? You probably don’t know, but when you have a problem with it be sure to give Garvin’s Sewer Service a call! How to Plumbing FAILS II - Do It Yourself Drain Cleaning?